Villa Fiona a sun-washed, cliff-perched villa that belongs to a brand new VIP exclusive complex of five villas located at the peak of the island's hill named Kounoupas. 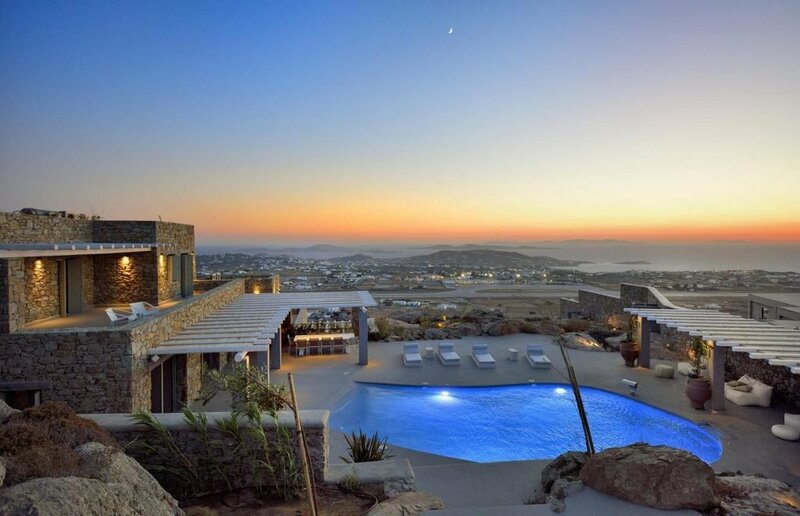 Leaving you breathless with the exquisite endless view of the Aegean Sea and almost all the Cyclades islands including the ancient sacred island of Delos, the property will reassuringly provide you with unforgettable experiences. Inspired by the colors of nature the villa blends in the landscape making it almost transparent. Infinity pool, state of the art interiors, minimal design, unique gardens combining all shades of the island, incredible panoramic-view exteriors are only some of the villa’s irresistible traits. Privacy is beyond mention. The villa holds its own private infinity pool with Jacuzzi, elegant outdoor dining and sitting and master bedrooms with en-suite bathrooms. Pamper yourself with our genuine hospitality and accomplish your dreamiest vacation!